(1) All my life I’ve felt an inner sense of the reality of God within my own consciousness, in a way that I know I am known completely and loved. Prayer for me is communion with that reality. Prayer is also a way for me to acknowledge the community of my life at every level, and helps me hear the call of that community at its many levels upon my life, so prayer is not just a private reality. I feel indebted to many who have so beautifully formulated verbal prayers that saying these prayers helps to reorient my consciousness to the world beyond myself in the perspective of an all-loving God. In the past years, contemplative prayer, an exercise to approach pure silence has been very helpful for me and saves my life from chaos. I believe that in that kind of prayer the Holy Spirit is given a better chance to fill me so that my heart and mind are more in line with God’s moving in the world. (2) The story of the magnet and a straight pin becoming magnetized when the pin is rubbed in one direction again and again over the magnet, and its need to return to the magnet to recharge its magnetism, was a powerful image to me. I believe that living my life fully is living in prayer. And, to do that, I need frequent times of returning to the source of all life, God. Whether through meditation, silence, walks in nature, being together with a dear friend, listening to the sounds of water or music, reading poetry, or being with others in liturgies and prayer rituals – each offers opportunities for to rekindle God’s light and presence within me. Yet, I need to return again and again to prayer to live my life in God. It feels impossible to do, but it is my soul’s desire! There also is an image that has been meaningful to me for years, that of a tapestry hanging on a wall of my home. If I look at the back of it, the threads and knots are jumbled, which is analogous to how life often appears; but when the tapestry is viewed from the front, it is filled with beauty. That image helps me. The knots and messiness of life are my own pain, the needs of others, sorrows, confusion, and other life’s upheavals. However, when I realign myself through silence, meditation, or some other loving way of being present to the divine, God is much more powerfully able to work within me. Striving to live with prayerful intention immerses me into greater energy than I ever could experience without the desire to be joined with God. My own life’s tapestry is not yet finished, and the completed picture still is a mystery to me. However, I believe that my frequent renewal in God is essential, and have gratitude for those occasional glimpses of the fullness of life. When I view my completed tapestry, will it show me revealing the light of God on earth? The continual prayerful weaving together of all of the forces of life challenges me, changes me, and transforms me. Each person’s “life’s tapestry” is unique, and I’ll comprehend my own “tapestry of life” only after I move from this world into the next. However, I also believe that God has one great tapestry, one cosmic vision. (3) What do I think God is doing? My image of God is like a mighty river, always flowing in and around me and all creation, a river flowing into a future known to God alone. This river’s energy is always expressed through compassionate love – the love I’ve seen in the stories of Jesus, and still experience now through the Spirit of Jesus. What do I think I am doing? I can ignore this river and this Spirit (and I often do) but still it flows on, inviting me and all others into thoughts and acts of compassionate Love. So when I pray I’m paying attention to this mighty river, always there whether I’m paying attention or not. Even after a lifetime of praying, I still begin most times of prayer by asking the river to flow in the direction I want. But I try to understand where the current is leading me, and then decide to go with it. In the end – and especially when I’m in pain – surrendering to the river is only possible because at times I have experienced this Love for myself. Even the dim memory of those experiences of Love is enough to turn me back to the river again and again. (4)	If I am made in G-d’s image and I believe that G-d is within me, I think ‘we’ are sharing that specific time together. I believe that not only is our G-d ‘out there’, I believe that she/he is within, around, above everywhere. Really neither G-d nor Me are ‘doing’. We simply are. (5)	I am seeking to align myself with God’s will. God is being present with me and all creation in our hopes and trials. (6 For me, praying is: paying attention… letting go of control and recognizing God is in whatever situation I pray about… getting out of my ego self… strengthening the bonds I feel with all my sisters and brothers across time and space… kenosis… calming, centering, grounding… I hope those give a glimpse of what I believe happens when I pray. (7) What I think I’m doing is asking for inner strength: insight, patience, fortitude, solace, for myself or for others. What I think God is doing is listening compassionately. A third question might be: What image do I have of God? Most of time my image is a non-visual sense of warmth, caring, and power that infuses the whole universe. But sometimes, close to the surface of my subconscious, is the classic image of an kindly old man with a long beard. I know that image is not helpful to those who’ve had a bad experience with a powerful man, but for me it is strongly related to my experience of my grandfather, who embodied the warmth and caring of God. (8) Once I restated the questions to ask, “What is happening for me and for God when I pray” it became easier to respond. My life and my prayers seem to be seamless, very intertwined, that “pray all ways/always” idea. Probably 98% of my prayers are a part of a constant inner dialogue between me and God. I believe that God resides in every cell and fiber of my being. It goes along with God knowing my every thought, word or action, which is probably why I can easily get to feeling guilty for all three of those really need to be cleaned up. Yet, there are those issues/events which require the physical drop down on my knees effort; although I am not sure whose attention I am really trying to get then, mine or God’s. In a nutshell, what I am trying to DO in prayer is be present and be patient. As for what I can say is happening for God, well, that is fairly presumptuous on my part. I believe that we are dialed in, on the same frequency, like surround sound, 24/7. It’s like God is sitting next to me in a comfortable arm chair, waiting patiently for me to ask more often and trust more keenly. When it may appear God is alluding me, not responding, I work at reminding myself how, in spite of showing up briefly as human, God is NOT human. God does not have to sort through Ego and other human messiness in order to show up for me. My job is to calm and clear my senses, overcome my human deficiencies in whatever means I am able, so I can receive the intended message. For me, God is the essence of all that is Mystical and Magical, capable of the Unimaginable, that is what the Divine gives me through prayer. (9)	My first impression is that God is tapping his fingers and thinking, She’s well intentioned, but I need to help her get on track. But on reflection, I don’t think God does any finger tapping or eye-rolling. Prayer has many levels for me. I may check in, as to raise my hand and let God know I’m not attempting this on my own. I know I am on God’s errand and need constant guidance to get from here to there without missing what He needs me to do and I need for my spiritual growth. Smoothing the edges of my rough-hewn spirit. I ask for special attention for those close to me who are sick or struggling: a friend who had cancer surgery last week, a church member who had a stroke, another who has the something wrong with his eye and has lost vision in it. Thank the angels who watch over my daughter, son-in-law and grandson. Friends who seem lost, or confused. Comfort and healing. I seek to quiet my soul, so that I can hear God’s direction in my life. This takes longer. It helps to have a special place and physical quiet, no annoyances or interruptions. I seek to explain to God how things look to me, and receive inspiration as to what my situation, or plight, as the case may be, looks like to Him. Having an eternal perspective feels like guidance for my life, moving forward. (10) The dictionary says to pray is to implore or beseech and it can also be the act of reciting a prayer as in worship. When I pray I seldom implore or beseech, I usually am thinking of the blessings and abundances I have received and how thankful I am. Once in a while I might start to contemplate what I think God is doing or how God is understanding my prayers. This never goes far as I start thinking how God is a spirit, no voice box, no ears, we don’t know how the communication goes, in words, in pictures, in feelings, it soon becomes confusing to me. I return to the thanksgivings, I do feel more at peace when I am done. This is also true when I pray during worship. 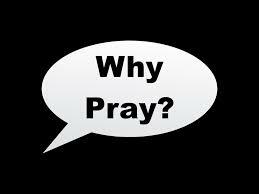 (11) What do I think I am doing when I pray? I am looking for a way to find connection. The overwhelming feeling of randomness and the lack of empathy in this world frightens me. I am looking for comfort and acceptance of this. I am looking for a guide. What do I think God is doing? I don’t know. I pray that God is listening. (12) Focusing specifically on the Lord’s Prayer, I believe that when I pray this I am acknowledging (and, I hope, experiencing) my complete dependence on God and putting myself in a frame of mind to be receptive to God’s will. As to what God is doing, I wouldn’t dare to suggest! (13) What I get when I pray … release… peace… an inner quietness… organization – a clearing of my “jumbled rumination”… clarity… rest… gratitude… When I pray I connect with the center of my life. Believing that God is. Believing that God is waiting for me. Prayer for me takes many forms, but in each I am tapping into a force of love which strengthens, enriches, and guides my life. In God I truly do live, and breathe, and have my being. I believe God cares. God cares and grieves about a hurting world. God works through me and all others who communicate in some way with their God to bring about change. Working with us to bring about these changes when possible. God answers prayers, sometimes in very miraculous ways. At the times my prayers are not answered, I receive the strength and comfort to accept that which could not be changed. When we pray in community our prayers are stronger. just as many minds often bring clarity, our prayers lift each of us closer to God, to each other, and often to the answers to our prayers. (15) When I am praying, I think I am turning my thoughts and feelings over to God, just giving them to Her. It does not matter whether I am praying for someone in need of prayer, or myself, or bad stuff like the earthquake in Nepal. I think most of my prayer is silent, and contemplative. During contemplative prayer, I feel at one with Her, and a deep comfort, energy, or peace and love fill my body and spirit. I guess one could call this meditation. I think the Divine is in communion with me, and everyone else in the world. He is there, always, and will fill us with abundant joy, even when bad stuff is happening to us, but of course, not until we are receptive to him. So we have to breathe deeply, and calm our bodies and minds, and be open and trusting to receive Her Love. (16) I have been struggling with this question for the entire week, and thinking the ‘answer(s)’ will come to me in a flash of pure understanding. That has not occurred. Perhaps the reason I pray is to try to become one with every living creature, and ultimately our Creator. What do I think God is doing? Providing me a link to the above answer?? (17) Prayer isn’t always the same for me. Sometimes it’s a cry for help or a cry for strength during troubling times. Many times I’m thinking about the suffering of others and praying for a lessening of their pain. Thankfulness at the beauty of the nature that surrounds me is a form of prayer. With my Catholic background I occasionally pray to Mary and ask her to intercede for me. I don’t know that I’ve truly considered what God is thinking or if He is really listening when I’m praying. I think that prayer gives me some sense of control in a random universe—it just makes me feel good. (18) When I pray I am opening my heart to God. I know that God already knows what is in my heart and mind BUT the time of praying is when we draw closer together. The world and all its obligations vanish and this is uninterrupted time for communication. I think it is an answer to God’s calling and wishing for relationship. Because I am in the world, I don’t always respond or sadly, even hear God’s yearning. It is in prayer that we both stop and talk, listen and relate to one another. It is the most peaceful time of my day and I am always filled with love…deep love.